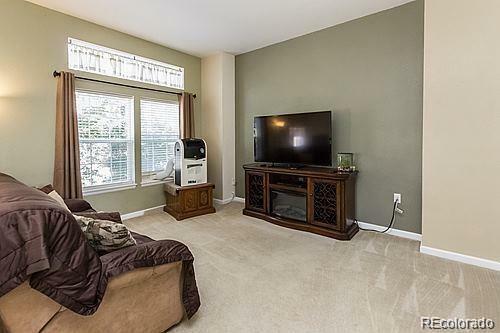 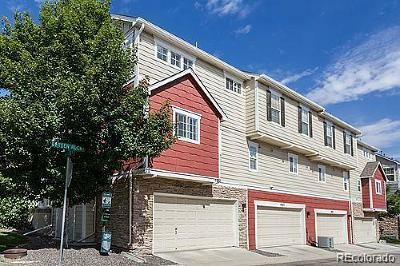 End Unit, main floor has large open living room, large dining room, open bright kitchen with all the appliances. 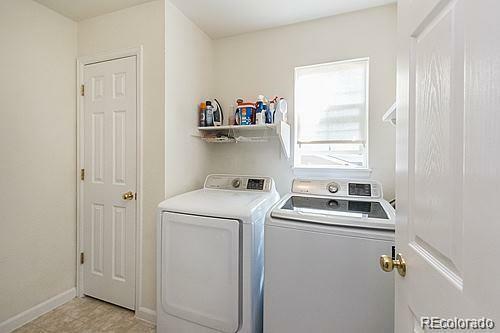 Main level laundry room with extra storage. 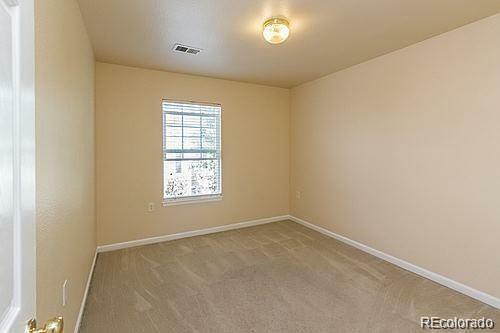 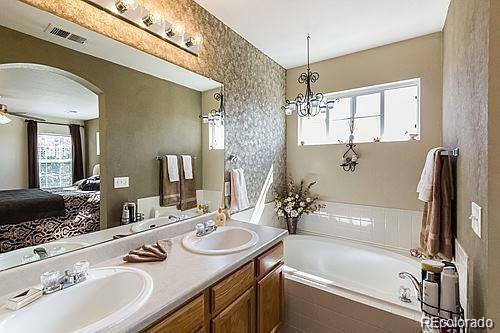 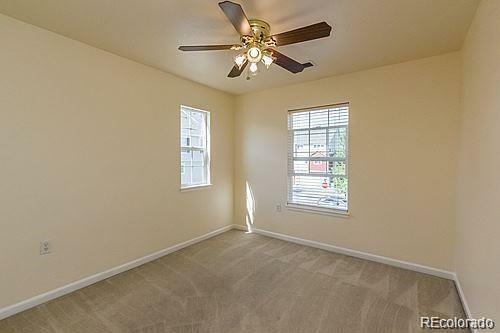 Main floor half bath. 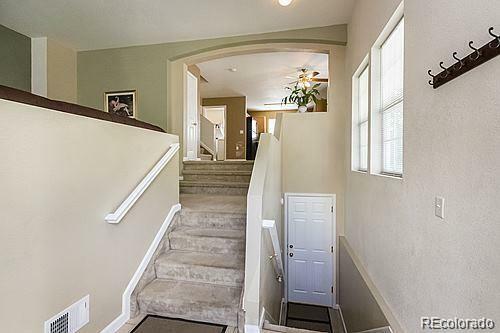 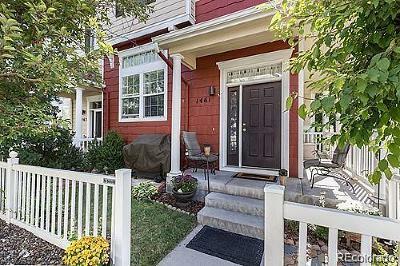 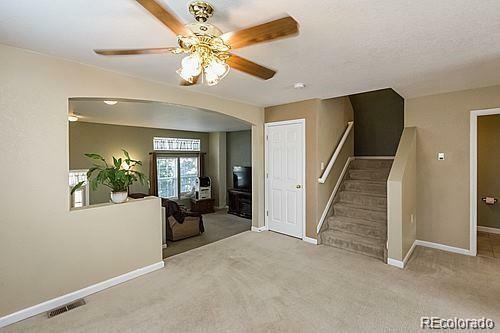 great entry way for front door or when you come in from the attached 2 car garage. 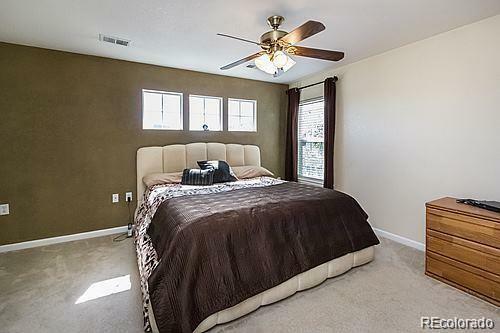 Upper level has master bedroom with 5 piece master bathroom. 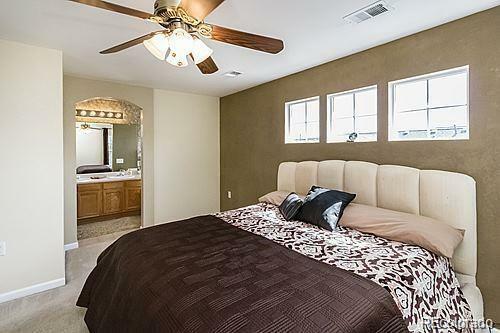 Two more secondary bedrooms and one more full bathroom. Great little fenced in yard and wrap around porch. 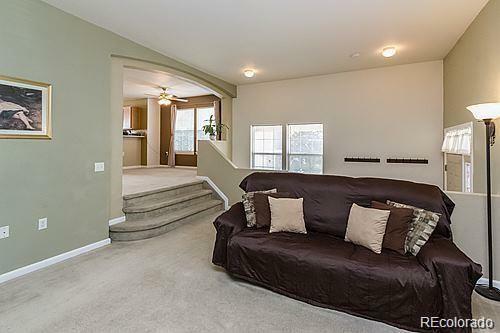 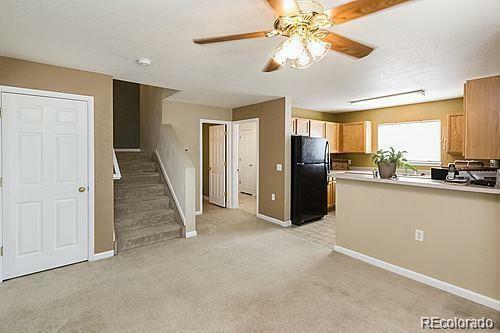 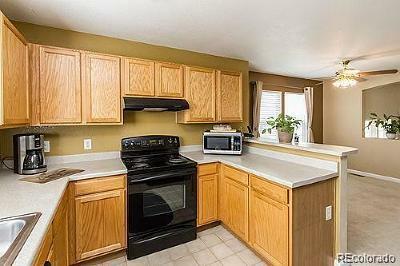 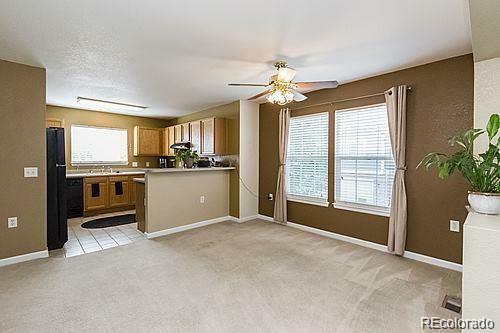 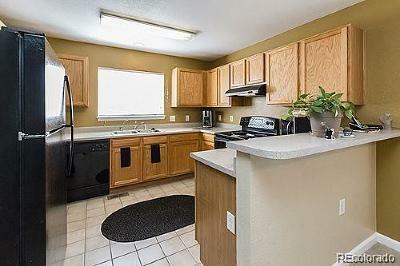 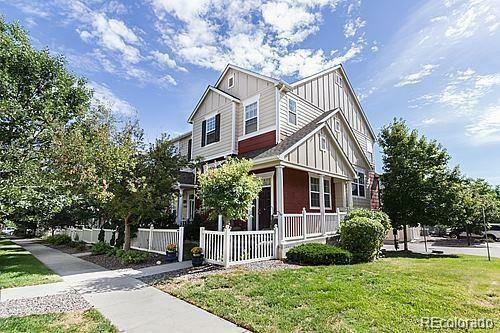 Great location, close to I25, the outlets, restaurants, grocery shopping, Downtown Castle Rock.